There is a lot of debate taking place currently about the issue of funeral poverty. People shouldn’t have to get into debt in order to arrange a good funeral, nor should it feel like a confusing process. And yet many people are finding that this is their experience. This is why we’ve signed the Fair Funerals pledge. Funeral debt happens for a number of reasons; sometimes it’s because of a belief that a funeral has to look a particular way in order for it to be respectful, other times it’s because the person arranging the funeral did not have clear information about the prices they were going to be charged. We believe that funerals should reflect the individual, so as far as we’re concerned there are no expectations about what should or shouldn’t be included. And times have changed. Views of what a funeral is, or should be, can vary hugely from the traditional sombre ceremonies that grew out of the Victorian era. We encourage families and friends to be clear on what it is they need and to look to creatively deliver other aspects of a funeral where possible. Some of the most beautiful funerals we’ve arranged have included family decorated cardboard coffins instead of an expensive conventional casket, or have been led by the families themselves rather than a vicar or celebrant. We also believe it’s important that people are clear and comfortable with the costs that will be incurred – before incurring them. No one should ever have to proceed with a funeral relying on the words “Don’t worry about the costs” Whilst it’s not always possible to have the exact cost at the time of the initial meeting you should expect to have an estimate of the cost – with a swift follow up to confirm the final amount. 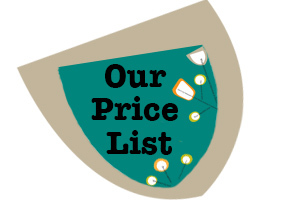 This is why you will find information about pricing and other fees on our website. We hope it comes across clearly. Below are some elements of a funeral you might wish to take into account, but perhaps consider doing differently. 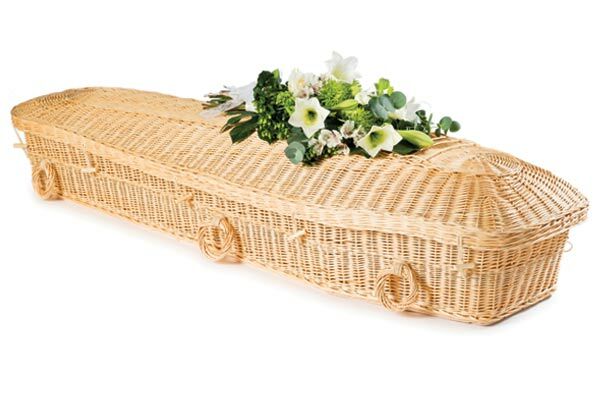 Coffins – you can get some basic and totally acceptable coffins very cheaply. The amount you spend on a coffin does not reflect the amount you love someone. If you’re looking for something more personal, go for a cardboard coffin: decorate it yourself or invite friends and family to join you. Have a bamboo shroud instead of a coffin, or just buy your own. Find out more in our Frequently Asked Questions. Embalming – not necessary in most situations. Make sure it’s not included in a package as “hygienic preparation”. At A Natural Undertaking we will only embalm if expressly asked. Flowers – hand picked from the garden. Celebrant – take control and lead the ceremony yourself. Get everyone involved in saying something. Be brave- it’s not a show. Genuine emotion and passion are just as important as a well constructed eulogy. Orders of Service – most people have access to a computer and a printer. Get a friend with creative flair to help with the design and print. Venue – if you don’t want to be restricted to the time frames within a crematorium you might want to have a service before the cremation. There are often venues you can use that cost very little. A little research is all that’s needed. 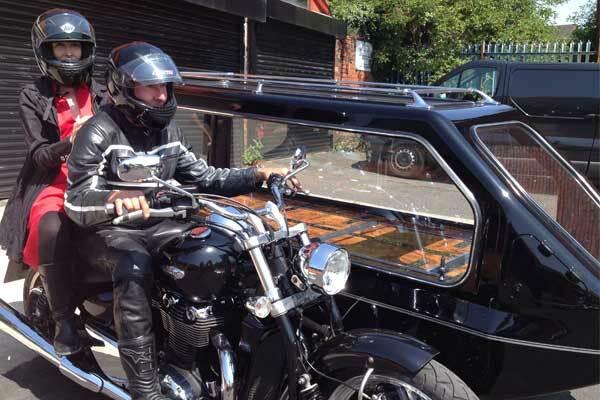 Cars – you can hire a hearse, use your own transport or use ours. Think about whether you really need a limousine. Pallbearers – use family and friends. Use a trolley or coffin bier. Catering – do it yourself. Get everyone to help. Funeral food is a tradition observed differently in different cultures, but we all have it, and for good reason. Newspaper tributes – will the people you need to reach notice these in newspapers? Can you harness the power of social media? For more advice on keeping funeral costs down take a look at websites such as the Quaker Social Action website.